Despite One Less Problem Without You being of a genre and subject matter that I don't normally read, I do have to say that I enjoyed this story from the very first page and was disappointed when my ereader ran out of power at the half-way point of the story. I did eventually get my ereader recharged and resumed reading - YAY!! The story flicks back and forth between characters and time periods, which is a little disconcerting, but it also allows you to see the motivations behind each character's actions. The only character whose motives I didn't really understand was the notorious Leif - aside from his obvious resentment of his stepmother and Prinny, his younger sister. A truly enjoyable read, well written with (for the most part) likeable and relatable characters. This is the second book that I have read and reviewed by Beth Harbison, my previous review can be found here. 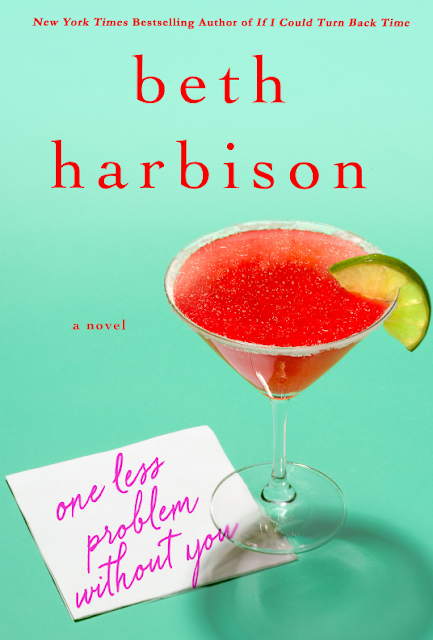 I have read and reviewed One Less Problem Without You at the invitation of the publisher and my review is my own honest opinion.